Liebster Award for new bloggers! 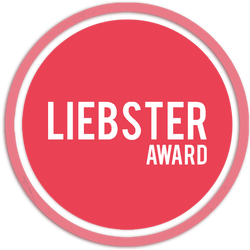 A HUGE thank you goes out to Picky Me for nominating me for the Liebster Award! This is an award for new bloggers that gets passed on from one blogger to the next. All you have to do is share some of your love, and you’ll receive some in return! Once you are nominated you simple answer the 11 questions given to you, choose 11 new followers to pass it on to and then create 11 new questions for them. Here goes nothing! 1. What was the most ridiculous but very cool fashion trend you followed? I would have to say “chalking” my hair. This was a huge summer trend in 2012 that made social media headlines thanks to Lauren Conrad. Having blonde hair made it really easy for my hair to pick up beautiful colours. The only downfall I found with this trend was that because I have bleached blonde hair it made my hair very dry. I only did it a couple of times but noticed it was damaging my hair. All and all, it was a cool, quick and easy way to change up your look temporarily. 2. In what era would you most like to have grown up in? 3. What do you wish you were better at saying “no” to? I wish I were better at saying “no” to a good sale. I’m a self-proclaimed “shopoholic” and love finding great items at even better prices. Recently I have tried to tone my shopping down a little bit and have realized just how tough it really is. I try to tell myself “no, you don’t need that, even if it’s a good price.” Sometimes I think I just buy things because they are on sale at a good price and otherwise wouldn’t have bought them. 4. What one goal do you hope to accomplish this year? This sort of coincides with my previous answer of cutting back on my shopping and saving money. This year I would like to save towards a down-payment on a house. It’s going to be really really tough but cutting back on certain things I don’t necessarily need over time is a great place to start. It’s amazing in just one week how much money I’ve saved from not going shopping every single day! 5. What would you like to be doing in 10 years? Right now I’m unsure about what I want to do with my future and where I see myself in the next ten years. I currently work in the court systems and could see myself staying in that field. I really enjoy helping people and I have a strong interest in the area of crime and criminal justice. On the other-hand, I’ve always had a strong passion for fashion. Starting up my blog was just something on the side I wanted to do for fun but it has really opened my eyes to a whole new world. Who knows, maybe it will be something I look into further and maybe change my area of focus to something like PR, social media relating to fashion. 6. Who did you get your work ethic from? 7. What is the worst thing about being a woman? The worst thing about being a woman in my opinion is having to get ready to go out, regardless of where it might be. I personally won’t go out without putting just a little makeup on (if I’m just running errands quickly.) Unfortunately I don’t wake up looking radiant. I don’t mind this too much because I sort of like dressing up to go out with friends, always have. It doesn’t take long to throw on some jeans, put on a little bit of makeup and fix up my hair. Unlike men that can just wake up and walk out the door it’s a little more tough for a lot of women, where it is harder to achieve effortless beauty without coming across as lazy and not put together. 8. Who would you most like to see in a concert front row? That’s a tough one to answer. I don’t really have a favourite artist or band. I would love to go to a huge music festival such as Coachella or Bonnaroo. I love all types of music and would just be amazed by the entire festival atmosphere. Not to mention, festival outfits are awesome, am I right?! 9. If you could relive any moment in your life, which would you choose? At this point in my life I would like to relive the moment of my first day of University. When I think back on it now I wondered what I would have done differently. Deciding to go to school and opting to stay in on-campus residence was one of the best choices I made. I made a lot of lifelong friends and have memories I will never forget. It makes me realize how fast time has flown by already and how we take those simple moments for granted at the time. 10. How did you come up with your blog name? This took me a while to create my blog name but once I landed it on it I knew it was just perfect! I love to shop, and I love being able to style items on an affordable budget. One of my mottos is that fashion doesn’t have to be expensive to still look good. I combined my last name “Stafford” with” affordable”- I am known by all my friends and family as someone who finds the greatest affordable fashion finds. One of my biggest fears that I am working on conquering everyday is my fear of failure. A lot of the time I am way too hard on myself and start to second-guess myself. I have to learn to put a little more faith in myself and trust myself and realize that not everything works out perfectly. There have been a lot of instances in my life where I haven’t succeeded at certain things. Instead of getting down on myself and being afraid to ever do them again I am slowly learning how to better myself by learning what I did wrong and see if I can improve. What’s your favourite thing to wear in your closet? Other than blogging, what is a hobby you pursue? What is the best thing that has happened to you in you life to date? What are your favourite 3 stores? Where is somewhere you would like to travel to? What is the best thing you have blogged about so far?